Imagine yourself cozied up to a campfire after a wonderful gourmet meal, paired with just the right wine. Shortly you'll be drifting off to sleep in a comfortable bed, laden with soft quilts and comforters under the peak of a canvas bedroom. All the while, you are surrounded by mountains and trees and unending freshness. 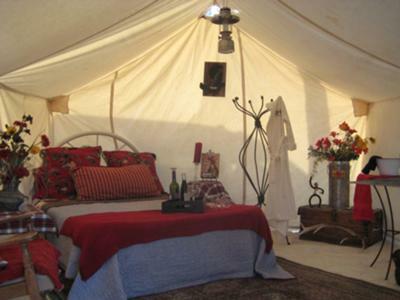 Glamping is the Glamorous Camping experience! Our Glamping adventure will bring you to the heart of the West allowing you to experience one of the nation’s largest wilderness in comfortable luxury, with warm western hospitality and gourmet food, and …… adventure! 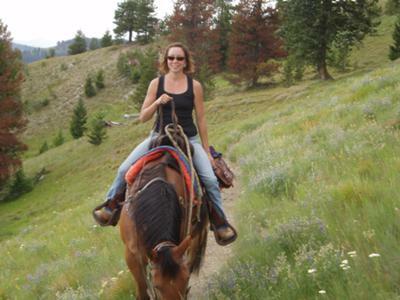 Wilderness Trail Horseback Adventures; Fly fishing on the banks of a wild and scenic Idaho river; or a Fly fishing Float on a famous Montana river; Hiking an Historic Indian Trail, or enjoy a relaxing Massage, in camp under the shade of a pine tree next to a creek. All adventures are guided. Learning opportunities are also available with classes offered such as: Mountain Orienteering, Dutch Oven Cooking, and Mountain Horsemanship. Storm Creek Outfitters will be happy to help you and your friends plan a custom trip. A Women’s Wilderness Vacation located in Idaho's Bitterroot/Selway Wilderness. You bring your friends, Nature supplies the Mountains,we’ll supply the Hospitality, Luxury and Adventure! 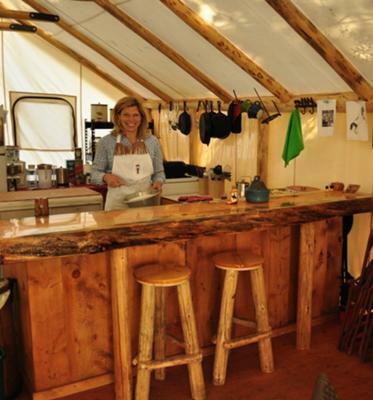 Storm Creek Outfitters glamping is simply the best getaway ever. The area is beautiful and secluded and yet easy to get to. You can hike or ride horses or just sit and read and enjoy the peaceful surroundings. Whether you are a seasoned camper/backpacker or have never been camping this is the place to go. 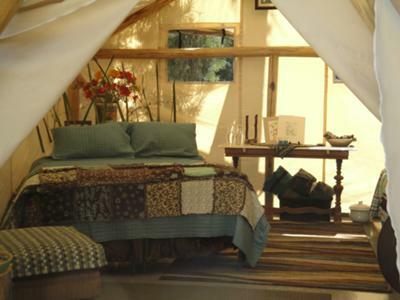 The tents are fabulous with all the comforts of home, warm, comfortable and wonderfully decorated. Your hosts Steve and Lorrie Burson are just plain good people who will do everything they can to make your stay exactly what you want. Lorrie is an amazing cook and they both know the area so well, you will not have any trouble finding places to hike or take pictures or wade in a creek. It would be an such a fun place for a group of friends to enjoy the wilderness and each other in a serene and breathtaking environment. I would highly recommend it, I know i'm going back.